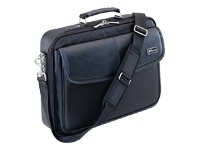 This Targus Trademark Notepac Plus combines the features of the standard Notepac Case with a full-size expanding file section and a zip-down workstation. 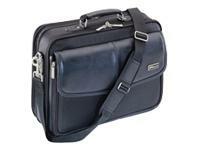 The result is a stylish, multifunction case that offers you great value at an affordable price. 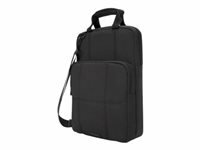 This Laptop Carry Case also provides you durability with its nylon with Koskin accents construction, and security with a well-padded laptop section designed to accommodate most laptop computers. 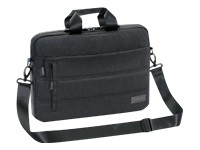 The zip-down workstation in the Trademark Notepac Plus includes pockets for your additional files, cellular phone, CDs, PDA, pens and business cards.